Christmas is always a great time for movies. This year I’m going to see the new Hobbit movie, mainly so I can drool over Kili. (I know some of you are nodding!) Of course, the Hobbit isn’t a Christmas movie and I’m here to talk about movies set during the holidays. I have three all-time best holiday movies. Two romances and one comedy. You may have seen them, but if you haven’t, definitely find time to make hot cocoa and watch them. 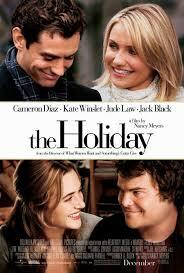 The Holiday is my number one pick. I just love this charming movie about two girls who’ve had bad luck with the men in their lives. They are strangers who meet on a home exchange and swap houses for the holidays. Iris lives in England and heads for American while Amanda goes to England. Of course, they find exactly what they aren’t looking for: a new romance. The movie stars Kate Winslet, Cameron Diaz, Jack Black and Jude Law, who is so romantic in this movie when he starts crying. While You Were Sleeping is one of my favorite Sandra Bullock movies. Lucy is your average, lonely working girl who dreams of Prince Charming. The man of her dreams gets mugged and goes into a coma. Of course, the fun begins when Lucy stops by to check on him and the nurse tells his family Lucy is his fiancée. Then, Lucy ends up falling in love with Peter’s brother, Jack. Of course, that makes for complications as Jack thinks she’s his brother’s fiancée. It is a fun, romantic movie. Definitely the kind of story I’d love to write. Christmas Vacation is a classic. What can you say? Chevy Chase and Randy Quaid are hilarious. The Griswold Family Christmas is one of the funniest events ever. 20,000 outdoor lights and a trees too big for the living room. You think can things get worse? Then Cousin Eddie shows up. Randy Quaid just stole the movie is all I can say. 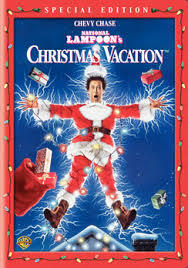 Do you have a favorite Christmas movie? If so, tell us about it in the comments. I do hope everyone is having a wonderful Christmas Eve today and that you will have a wonderful Christmas tomorrow! Also I have a Christmas special offer available for readers on Christmas Eve and Christmas Day only. Get a copy of “The Yard Sale” FREE at Amazon. 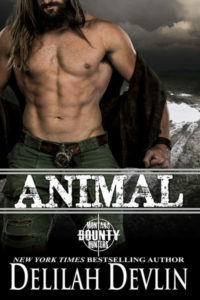 It is a fun story with 21 5-star reviews! If you’re in the mood for a historical romance that features a dashing captain, an elusive lady, romance & adventure in old New Orleans, To Save a Lady, is $1.99 countdown deal on Amazon. You can buy here: http://amzn.to/1tz2HIq. Patricia Preston is a Southern author who writes historical and contemporary romance as well as humorous Southern fiction. 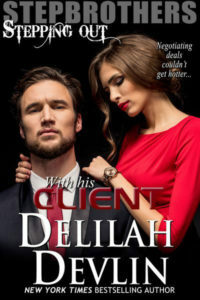 Her publishers include New Love Stories, True Romance, Affaire de Coeur, Cloverdale Press, The Blue and Gray Magazine, Sea Oats Review, and Carina Press. She won the William Faulkner Award for Short Fiction, the Lone Star Writing Competition for Historical Romance, and Harlequin’s World’s Best Romances Short Story Competition. This entry was posted on Wednesday, December 24th, 2014 at 6:00 am in General. Tagged: Guest Blogger. You can feed this entry. Both comments and pings are currently closed. Elizabeth: Glad you like the Holiday, too. It’s is one of my all time favorites. I love how it ends. My favorite movies are: The Bishop’s Wife, Miracle on 34th Street, Holiday Inn and White Christmas. Yes, I like the old ones best!!!!! Merry Christmas, I am hoping it is all you hope for!!!! Elaine: Thanks for stopping by!! Those are great movies too! I hope you have a safe and happy holiday season! Happy Holidays, Patricia! I have never seen “The Holiday”, but will have to rectify that. Thanks for the gift book and here’s wishing you a wonderful 2015! Elf: I hope you get to see The Holiday! It’s a wonderful movie! Thanks for stopping by!